Reginald Sorensen was born at 25 Ronalds Road, Islington, on 19th June 1891. He was the eldest son of William James Sorensen (1868–1925), a silversmith from Denmark, and his wife, Alice Jemima, daughter of John Tester, a fisherman from Worthing. His biographer, Terry Philpot, has argued that "early evidence of Sorensen's rebellious spirit came when Reg (as he was universally known) was sent home from Sunday school for disturbing the class with his questioning." Sorensen left a local elementary school at the age of fourteen and worked as an errand-boy. Later he found employment as a manual worker in a factory. As a young man he was strongly influenced by the Congregational preacher, Reginald John Campbell who combined radical politics with liberal theology. He became a Christian Socialist and in 1908 joined the Finsbury branch of the Independent Labour Party, of which Campbell was president. He also spent four years living in a religious community run by Campbell: the Order of Pioneer Preachers. Sorensen was a member of the Men's League for Women's Suffrage and a close colleague of Sylvia Pankhurst. In 1914 Sorensen became the Unitarian minister of the Free Christian Church, Walthamstow. On the outbreak of the First World War he joined the No-Conscription Fellowship (NCF), an organisation formed by Clifford Allen and Fenner Brockway, that encouraged men to refuse war service. The NCF required its members to "refuse from conscientious motives to bear arms because they consider human life to be sacred." On 22 January 1916 Reginald Sorensen married Muriel, the daughter of the Revd William Harvey-Smith, a Unitarian minister, of Long Sutton, Lincolnshire. Over the next few years they had a daughter and two sons. His brother-in-law, was Fenner Brockway. After the passing of the Military Service Act, the No-Conscription Fellowship mounted a vigorous campaign against the punishment and imprisonment of conscientious objectors.As a minister of religion he was exempted from military service, but declared himself a pacifist and supported the campaign against conscription. He became a strong influence on Ernest Bader, who was a fellow member of the NCF. After the war Sorensen combined his duties as a Unitarian minister with tuition for the Workers' Educational Association. He was also an active member of the Independent Labour Party and at the 1929 General Election he was elected for Leyton West in 1929 General Election. The election of the Labour Government coincided with an economic depression and Ramsay MacDonald was faced with the problem of growing unemployment. MacDonald asked Sir George May, to form a committee to look into Britain's economic problem. When the May Committee produced its report in July, 1931, it suggested that the government should reduce its expenditure by £97,000,000, including a £67,000,000 cut in unemployment benefits. MacDonald, and his Chancellor of the Exchequer, Philip Snowden, accepted the report but when the matter was discussed by the Cabinet, the majority voted against the measures suggested by Sir George May. 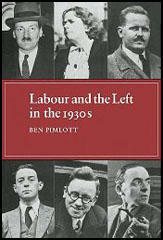 The 1931 General Election was a disaster for the Labour Party with only 46 members winning their seats. Sorensen was one of those who was defeated. MacDonald, now had 556 pro-National Government MPs and had no difficulty pursuing the policies suggested by Sir George May. After failing to win Lowestoft at a by-election in 1934, he recovered his Leyton West seat by a small majority in the 1935 General Election. Sorensen remained a pacifist and joined Richard Sheppard, a canon of St. Paul's Cathedral and Arthur Ponsonby to establish the Peace Pledge Union. The organization included other prominent religious, political and literary figures including George Lansbury, Vera Brittain, Siegfried Sassoon, Donald Soper, Wilfred Wellock, Aldous Huxley, Laurence Housman and Bertrand Russell. Sorensen combined pacifist anti-militarist sentiments with loyalty towards the Labour Party leadership. In the House of Commons on 12th March, 1936 he declared his support for rearmament on the grounds that "a virile people must defend itself" and "there are certainly worse things than war." 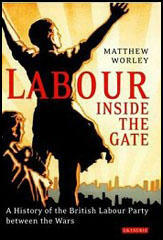 After the Second World War he moved to the right of the Labour Party. However, he continued to support the movements for colonial liberation. According to Terry Philpot, the leader of the left, Aneurin Bevan once remarked: "Your trouble, Reg, is that you believe in liberation in every country but your own". Sorensen won his seat at the 1964 General Election but agreed soon afterwards to stand down in favour of Patrick Gordon Walker, then foreign secretary, who had been defeated in Smethwick. He now went to the House of Lords as Baron Sorensen, where he served the Harold Wilson administration as a government whip. Reginald Sorensen died on 8th October 1971 at Whipps Cross Hospital, Leytonstone, and was cremated at the City of London Cemetery seven days later. Actually, the Leyton debacle need not have happened. According to some insiders, Gordon Walker was offered a choice of three "safe" seats after his upset three months ago in an ugly racist campaign at Smethwick, a seat he had held for 19 years. One was in Scotland, the other also away from London. But Leyton - which for 32 years had returned the same familiar old Socialist, Reginald Sorensen, 73, to Parliament - was close to the heart of political power, and Gordon Walker chose to run there. Sorensen, known as "Reg" to most of his constituents in semidetached, working-class Leyton, was pressured into accepting a life peerage, reluctantly set out for the House of Lords with Wilson's assurance that it was for the good of the party. It really wasn't. Leyton voters resented the callous imposition of an outsider in place of their beloved Reg. Harassing raids by British Nazis introduced the shade of the Smethwick race question into the Leyton battle. Gordon Walker proved to be an inept campaigner, somehow above it all, who managed to leave the impression that he had descended by brocaded balloon from the intellectual heights of Hampstead to the depths of fish-and-chips Leyton. Sir Winston Churchill's grave illness added to voter apathy, kept many Leytonites glued to the telly and away from the polls. When the votes came in, Reg Sorensen's October plurality of 7,926 melted to nothing, then less than nothing. The final count: Tory Ronald Buxton, 16,544; Gordon Walker, 16,-339. To further tarnish Labor's image, Technology Minister Frank Cousins - an old union man who had never run for Parliament before - faced a "safe" seat situation similar to Gordon Walker's in the Midlands constituency of Nuneaton. Where his predecessor won the seat by 11,702 votes last October, Cousins could only win by 5,241. The message from Leyton and Nuneaton was much the same: from here on out, there is really no safe seat for Harold Wilson anywhere.